We are surrounded by sound - - as dictated by the laws of physics. You can hear it - - you can't see it - - but Vicoustic can - - utilizing our one-of-a-kind anechoic and reverberation lab, generating a visual display during the process of developing Vicoustic products. We can not only see, but eliminate the annoying sounds, as the beauty lies in the fact that acoustics is based on science, with resulting consistency. It's that very consistency that allows us to not only recognize the problem, but the solution as well, regardless of the application. Having achieved the primary goal of function, our architectural designers complemented the engineers with their creation of unique artwork, unmatched in the industry. The need for acoustic solutions involves a broad range of clients, installations and product requirements. Clients range from professionals, whose end audio product must satisfy a world-wide audience, to the audiophile and home entertainment buff, to those responsible for commercial and industrial application. Each installation, throughout that spectrum, has its unique set of acoustic demands, considering usage, appearance and configuration of the space. That's the Vicoustic challenge ! Having defined the problem and its solution, through acoustic analysis, backed by years of University and in-house research and product development, we then determine the appropriate Vicoustic products that satisfy the laws of physics, as well as your personal auditory and visual perspective. The final Vicoustic product selection is the result of your choice of design, finish and color, guided by our architectural design team, acousticians and engineers, from start to finish, as you may choose. 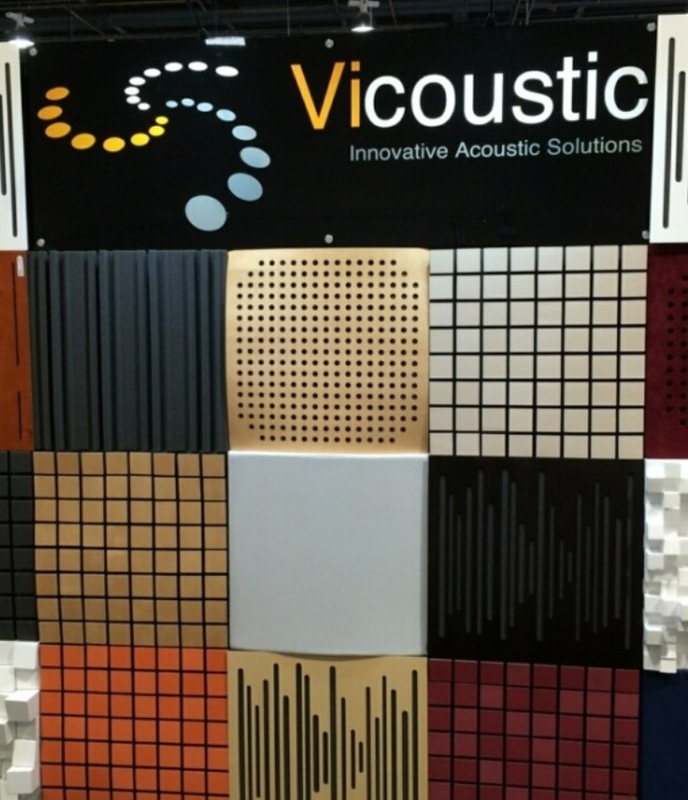 Meet the challenge - - and enjoy the sights and sounds of the Vicoustic solution ! In the top left menu, you can find useful guidelines for specific room acoustic treatment using Vicoustic products, enabling you to choose your favorite panels from a variety of absorbers, diffusers and bass traps ! 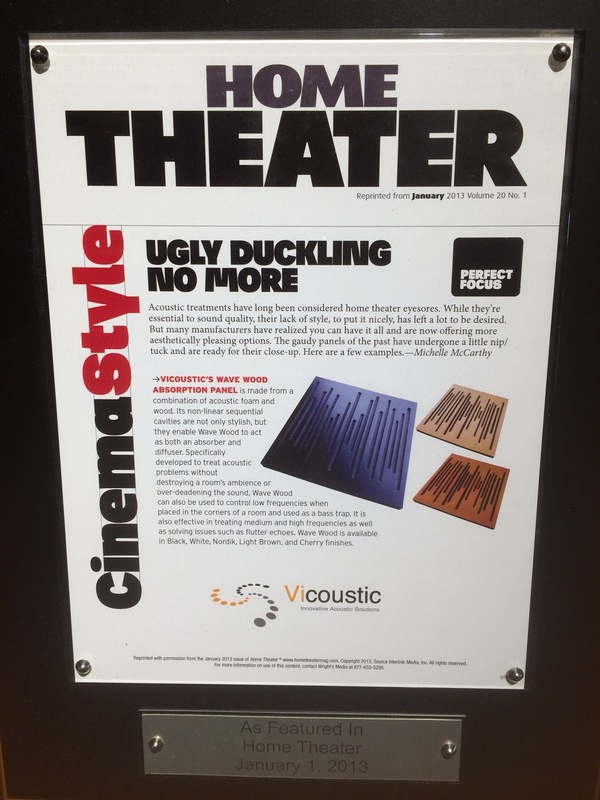 As always, feel free to browse our catalog for information and ideas in our Hi-Fi&Home_Cinema_Catalog. 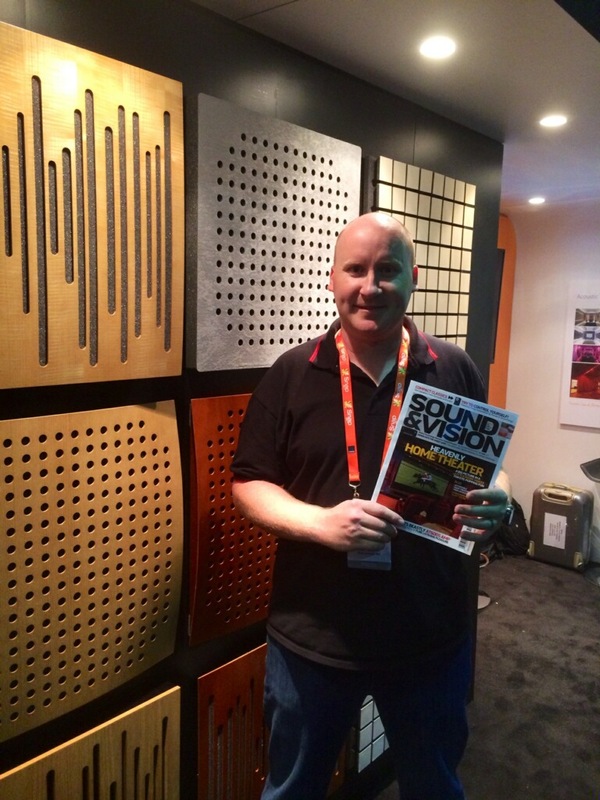 Sound and Vision Magazine, Kris Deering, at the CEDIA Show. Visit our new Showroom, located in Federal Way, Washington. Great products at affordable pricing. Another professional review. Copyright © 2007 Vicousticna. All Rights Reserved.